NEWTON, Mass. — Featured speaker and Labor Attorney, John Cruickshank of Alaniz Schraeder Linker Farris Mayes LLP, will explore current labor and employment policy issues confronting the metal construction industry, and the overall construction industry, at METALCON on Oct. 18 and 19, 2017 at the Las Vegas Convention Center. In addition, Cruickshank will cover essential labor practices for your business including having the proper employment complaint, reporting and investigatory procedures, and ensuring all office staff is fully covered. “Without a written and effective complaint procedure, you risk losing important affirmative defenses in any lawsuit,” he said. Other essentials include proper document retention — knowing how long to hold on to documents and when to get rid of them. “Understand when you are no longer required to keep something and then think about whether you should,” said Cruickshank, which all depends on the type of record and the state you are operating in. Regarding immigration reform, Cruickshank believes that while DACA (Deferred Action for Childhood Arrivals) gets all the headlines, it is the steps towards mandatory electronic employment verification and reductions in all forms of immigration that will have the greatest impact on contractors. “Expect a shortage of labor, which will drive pressure on wages and retention, as well as new methods of innovation and automation; however, automation brings its own unique set of hiring challenges,” he said. Finally, there will be plenty of time for questions and answers on all of the topics presented, along with any other labor and employment concerns of those in the metal construction industry. To learn more, visit www.metalcon.com. Soprema Inc. will be hosting a regional Building Envelope Clinic in New York on Oct. 10, 2017, for architects, consultants and contractors looking to further their knowledge, network and earn continuing education units. The clinic will be held at AIA New York, located at 536 LaGuardia Pl., New York, NY 10012. Martin knew that nearly 90 percent of the roofs in the U.S. have felt underlayment. Whenever we have someone win a prize through a contest on RoofersCoffeeShop.com we like to reach out to the winner and get to know them a little better. We were thrilled that the first winner randomly drawn from all of the correct responses to the G.A.P. Roofing Quiz was one of our RCS Influencers, Martin Stout. Question: Out of the 133,600,000 roofs in the U.S. how many have felt underlayment? Answer: 124,335,964…nearly 90% of all the residential roofs in the US! Saturated Organic Felt is still working after nearly 100 years, even though newer, non-breathable synthetics are trying to take over. Felt has worked for years and still works today! Additionally, some of the toughest roofing standards in the U.S., California Building codes, Miami-Dade codes and even the latest Western Roofing Contractors Association recent studies still proves that two layers of felt are the preferred roofing underlayment! We asked Martin how he knew that answer and his sense of humor was on point as he said, “I counted them.” We’re sure that Google probably played a role in forming that answer too! Learn more about G.A.P. Roofing and felt underlayments. 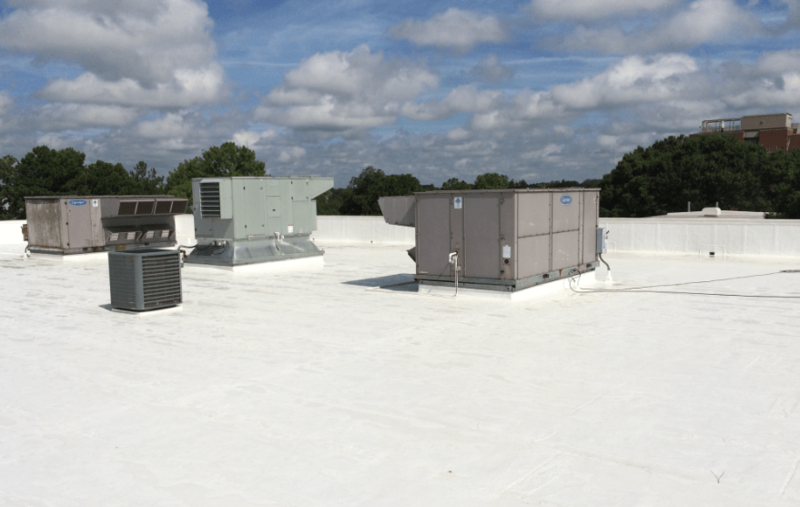 Kemper System America Inc. now offers two cost-effective ‘cool roof’ solutions for prolonging the life of metal, BUR, modified bitumen and aged single-ply roof systems. Roof Guardian RG-170 is an elastomer-based coating system ideal for extending the life of many types of roofing assemblies. Formulated using a 100 percent acrylic polymer base for enhanced adhesion and durability, the coating features a high Solar Reflectance Index (SRI) rating of 109 and is Class A fire rated. 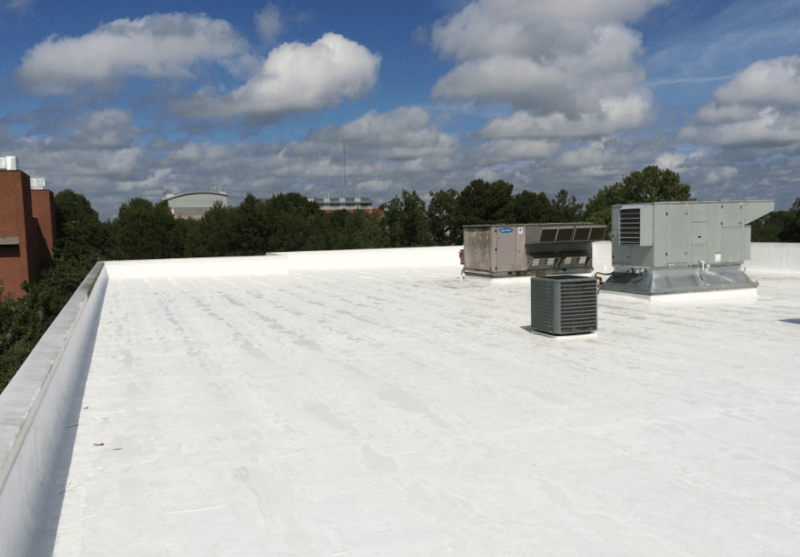 Roof Guardian RG-180 is a fiber-reinforced elastomeric coating with an acrylic polymer base, ideal for metal, concrete, single ply, modified bitumen, and granular cap sheets. It offers an SRI rating of 108. “Kemper System has been at the vanguard of liquid-applied roof waterproofing solutions for decades. 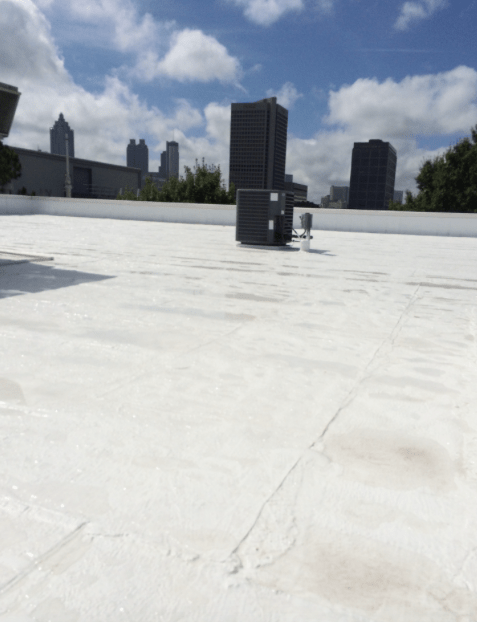 These two new white Roof Guardian coating systems offer a quick and cost-effective approach for transforming many kinds of existing low-slope roofs into a cool roof that can help building owners cut cooling costs,” says Jim Arnold, Director of Product Development for Kemper System. 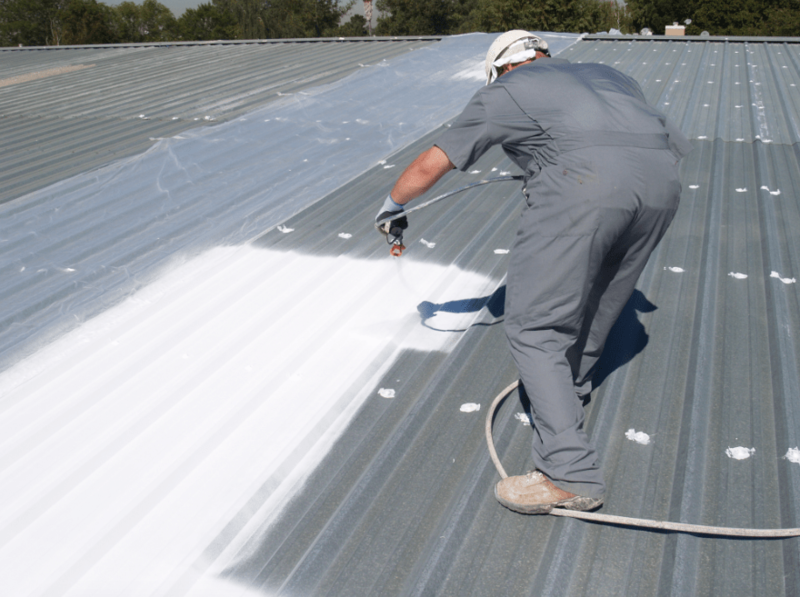 Part of the company’s Roof Guardian Technologies line, the roof coatings can be quickly applied with a commercial-grade sprayer or roller. The highly reflective bright white finish lowers the surface temperature of the substrate to reduce thermal transfer into the structure. This high solar reflectance helps lower indoor temperatures to reduce building cooling requirements. Formulated to resist cracking and peeling, both products provide excellent waterproofing and long-term mildew resistance. Both solutions are Energy Star and Cool Roof rated. This portfolio encompasses Wall Guardian fibered acrylic air barrier, Roof Guardian Technologies elastomer-based roof coatings, and HeatBloc-ULTRA radiant heat barrier. Other high-value brands include COLEAN traffic coating systems, and the company flagship for exterior and interior waterproofing, Kemperol reinforced membrane systems. Technology and automation is great but sometime so is a good, old-fashioned hand tool. We all know how important having the proper tools is to complete a quality job quickly. In today’s world, too often we are looking at technology to provide the needed tools. But it is important to remember that it is a balance between the world of technology and old-world craftsmanship. In roofing, it is still about the craft. We are an industry of men and women who take immense pride in a job well done. Standing back and looking at a new roof, well, it is a thing of beauty. At the Coffee Shop, we are incredibly proud of our roofers and the industry that makes beautiful new roofs possible. We also enjoy sharing some of the more interesting parts of this industry. One such company that we would like to spotlight is Wil-Mar Products. It was founded by a roofing contractor, W. R. “Bill” Merrin in 1990. He saw a need in the industry to seal the vent pipe to a roof flashing and eliminate mastic and taping. His first product, The Pipe Collar, was invented and patented. Today Wil-Mar Products is led by Bill’s wife, Marianne Sumter and they have been a loyal advertiser with RCS for years. We would like to highlight another invention from Wil-Mar, The Roofers’ Saw, that was co-designed by Bill and Michael Steele. This saw is used for removing broken shakes, shingles and slate. It cuts off the fasteners quickly without damage to adjacent material. It is the perfect tool to keep in your tool belt to cut nails and staples fast with a pull stroke and it is self-feeding. With this beauty in your tool belt you can increase productivity on repairs and re-roofing, saving you and your crew time and money. The hand saw consists of a 25″ wood handle and a 27″ removable and replaceable saw blade. It is a simple tool that makes the job easier. Isn’t that what it is all about. At the Coffee Shop, we love bringing you these cool tools. Thank you Wil-Mar Products! Order your Roofer’s Saw today. Wil-Mar Products, Inc. was established from a desire to offer sustainable products and roof solutions to meet the needs and demands of the roofing industry. Wil-Mar Products, Inc. has over 25 years’ experience, providing products which enable the roofing contractor to provide quality roofs for new or re-roofed, residential and commercial buildings. Dedicated to providing the utmost customer service for its customers, the company is committed to providing personalized service and quality products. For more information, visit www.wilmarproducts.com. NEWTON, Mass. — As laws change regarding marijuana use, they present a whole host of ongoing human resource issues, especially for the construction industry. Attorney Trenton Cotney helps employers understand the complex issues surrounding the legalization of marijuana and its effects on the work place environment in his featured session, The Legalization of Marijuana and its Impact on the Construction Industry at METALCON, on Oct. 18-19 at the Las Vegas Convention Center. Cotney of Trent Cotney, P.A. Construction Law Group specializes in roofing litigation and arbitration throughout the United States. He will explore: What are the limitations of the use of marijuana? How do employers need to modify their human resource policies and manuals? How does the acceptance of medical marijuana cards relate to a drug-free workplace? Cotney answers these questions and more while helping employers create policies and procedures to address the various concerns. Cotney will cover: here’s what’s happening, here are the issues, here are the potential solutions and everything in between. For more information, visit www.roofinglawyer.com. While he was a student in the 1970s at Liberty Baptist College in Lynchburg, Va., Craig McCarty took a job with a roofing company to help him pay his way through school. One of his business courses required students to set up a model business, so McCarty set up a fictional roofing company. When a recession forced his boss to close down the company where he worked, McCarty turned his classroom project into reality. He got his contractor’s license and formed his own roofing business at the age of 20. More than 40 years later, he is installing roofs on the same campus he once took classes for a college now known as Liberty University. McCarty is the president of McCarty Roofing, headquartered in Lynchburg, Va. 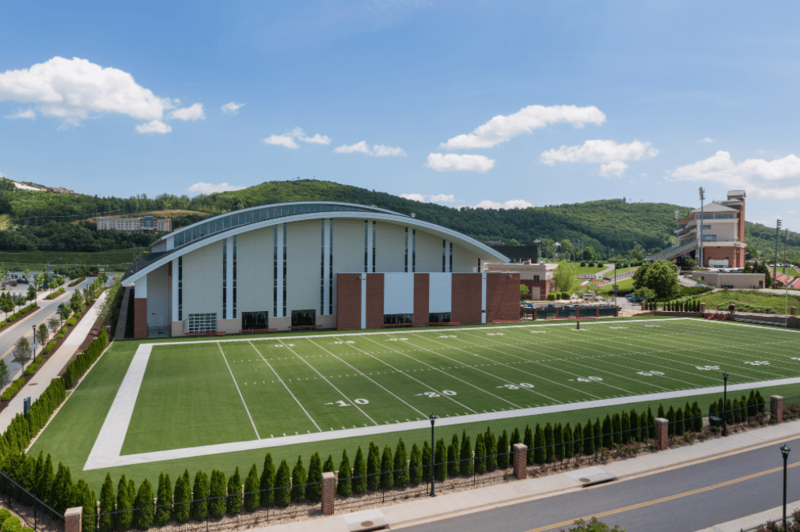 This year the company installed the standing seam metal roof on Liberty University’s new indoor football practice facility, the fourth building the company has worked on at the school. McCarty has always been fascinated by metal roofs, and he estimates that 70 percent of the company’s business comes from the metal segment of the market. “It’s our passion, and we’re really good at it,” he says. 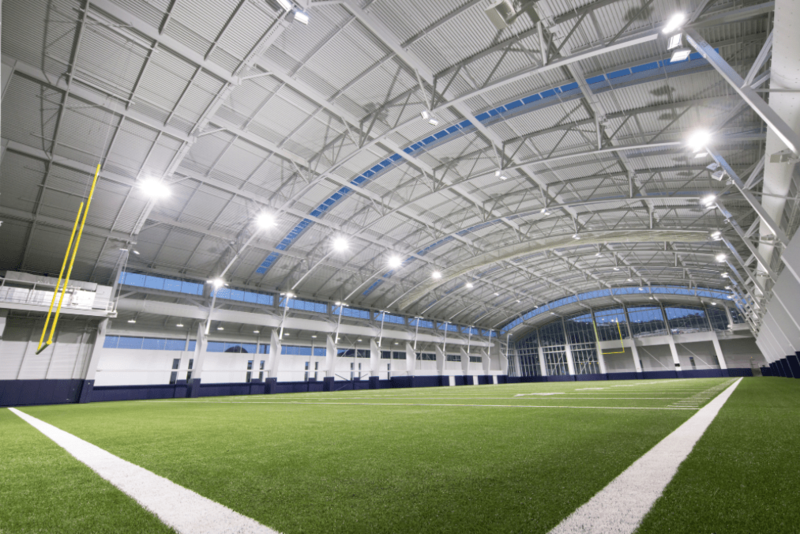 Liberty University’s new indoor practice facility encloses an entire regulation football field. The structural metal roof system is made of panels that run the entire width of the building. He’s found a great place to ply his trade in Liberty University, which has made roofs manufactured by Fabral Metal Wall and Roof Systems into something of a signature architectural style. 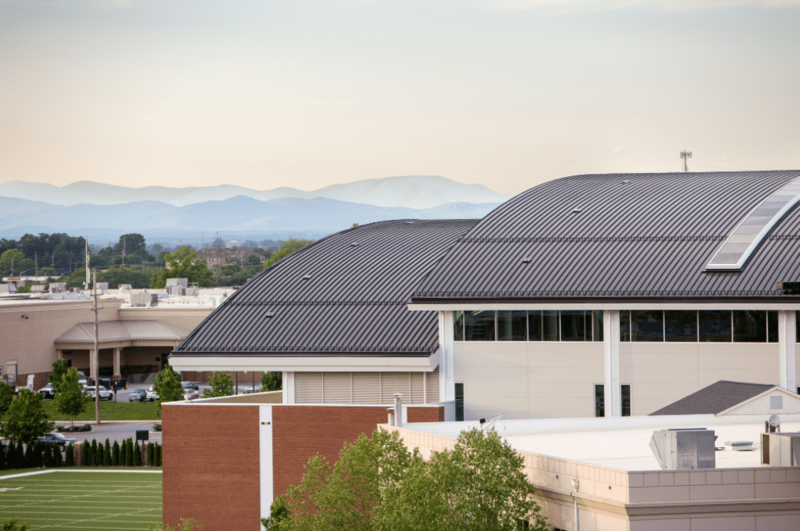 Other Fabral roofs at the university include those on Williams Stadium, Hancock Welcome Center, Jerry Falwell Library, and the LaHaye Recreation and Fitness Center. According to Jerry Wandel, Fabral’s Mid-Atlantic territory manager, based in Richmond, Va., Fabral and distributor NB Handy in Lynchburg have partnered to provide architectural metal enclosure systems for 13 buildings on the campus since 2010. The new practice facility encloses an entire regulation football field, and the design for the structural metal system on the vaulted barrel roof called for panels—many as long as 240 feet—that would run the entire width of the building. Fabral’s Stand’N Seam 24-gauge panels in Dark Bronze were specified for the project. According to Wandel, the product features a unique stainless-steel clip design and double lock-seamed side joints that allow panels to expand and contract throughout their entire length. The system had been installed successfully on indoor practice facilities at other colleges, including Georgia Tech, the University of Virginia, Virginia Tech and Virginia Military Institute. The first task for McCarty Roofing was drying in the metal deck. Crews installed two layers of 2 ½ inch polysio and covered the insulation with Blueskin, a self-adhering underlayment manufactured by Henry. The panels were fabricated on the site. 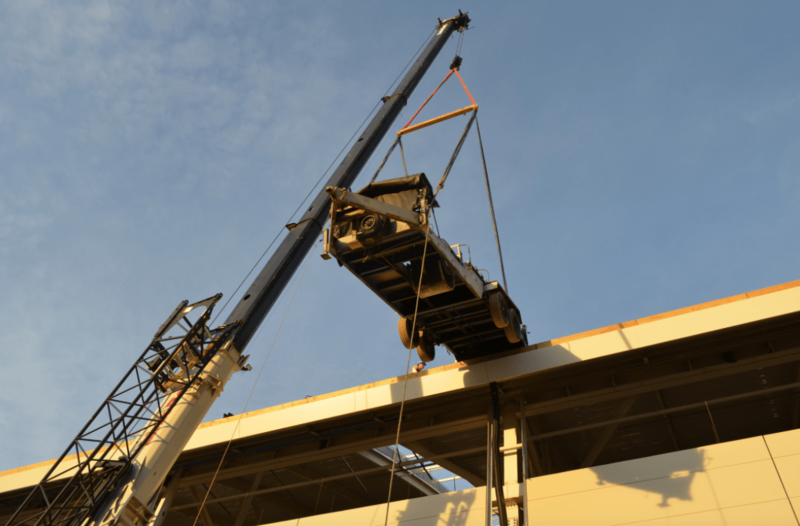 The roll former was lifted into place at the edge of the roof by crane, and panels were rolled directly onto the roof and stacked for installation. This hurricane season has been historic in its intensity and damage. But it’s not just homes in the storm tracks that may need a roofer’s attention. Punishing winds and debris have been taking their toll on roofs all along the Eastern Seaboard and Gulf Coast. Home and property owners should be arranging for post-storm inspections now, so roofing contractors like you can provide any necessary repairs before the challenges of winter set in. Here are a few tips to share with your customers as they assess any hurricane season-related damage. The first and surest sign of a problem would be sunlight showing through the plywood decking, which may indicate serious holes in need of repair. If there are no obvious holes, use a flashlight to inspect the decking for dark stains or streaks, as well as sagging, all of which could be caused by moisture. Missing shingles should be replaced as quickly as possible. Cracked or curled shingles are sometimes caused by high winds or flying debris. Dark patches where the granules have come off of the shingle. In addition to affecting the overall look of the roof, bare patches like these leave the shingles vulnerable to the sun, which can, over time, dry out the asphalt, and may lead to leaks. Bent or detached flashing. Flashing helps keep water from chimneys, vents, and other roof penetrations and should be thoroughly sealed to prevent water intrusion. Debris. A branch on the roof may not seem like a big deal, but over time, it can rub the granules loose from your shingles, or may even be covering a crack that it caused as it landed. Loose nails or nail heads raised above the shingle surface may be just one storm away from letting go entirely. Gutter debris can contribute to ice dams later in the year. Your roofing contractor may provide gutter cleaning services if you are not comfortable doing the job yourself. Flashing on the upslope (or back) of the chimney and penetrations can be seen more easily from the roof itself. If you find damage: Call a local, reputable roofing contractor right away. After storms, you may receive solicitations from unfamiliar contractors looking for work. To find reputable, factory-certified contractors in your area, visit the GAF contractor locator at: http://www.gaf.com/roofing/contractors. The sooner you address any hurricane-season damage, the more secure your roof will be for the winter months. NRCA is saddened by the passing of Donald McNamara on Sept. 16 at the age of 81. McNamara was the majority owner of F.J.A. Christiansen Roofing Co., Inc. (FJAC) from 1967 to 1995. After his retirement, he helped lead the formation of Tecta America Corp. and also served as its first CEO and on its board of directors. McNamara served as NRCA president from 1986-87. In addition to serving as NRCA’s president, McNamara also chaired several committees during his NRCA tenure, including the Asbestos Committee; Nominating Committee; NRCA/IWA Labor Relations Committee; Audit, Budget and Finance Committee; and the Awards Committee. He also was the 1990 recipient of the J.A. Piper Award, NRCA’s highest honor. NRCA offers its condolences to his three sons, Timothy, Rob (former NRCA president) and Theodore, and his wife, Valerie. NETWON, Mass. — METALCON, the largest international event in the metal construction industry, announced program highlights for its metal roofing industry attendees. One of METALCON’s new featured presentations this year is the “Top 10 Things That Get Metal Roof Designers in Trouble” by Brian Gardiner of BMG Enterprises, LLC, and Charlie Smith of McElroy Metal. Together, they’ll address the most common mistakes made in designing and specifying a metal roof system and proper steps to avoid them. Drawing from their 50+ years of combined metal roofing experience, Gardiner and Smith will detail how to design for differences in metal roofing system performance, provisions for metal expansion and contraction, and the keys to successful metal roof flashing design. In addition, they will explain how to select the correct design options and the importance of product testing. Also new this year, is “The Good, The Bad and The Ugly of Mechanically Seamed Roof Panels” by Jonathan Rider of D.I. Roof Seamers. This session will cover everything attendees need to know about metal roof installation: tips and techniques for installing roof panels, basic operations of a roof seamer, correct hand crimping practices and basic troubleshooting. Rider will use real-world scenarios dealing with modulation problems, surface contaminates and other issues faced on the job site. Finally, seam appearances will be addressed in detail to help attendees better understand what is happening inside the seam, and what it will look like after installation. Both featured presentations take place on Oct. 18 and 19 at the Las Vegas Convention Center. 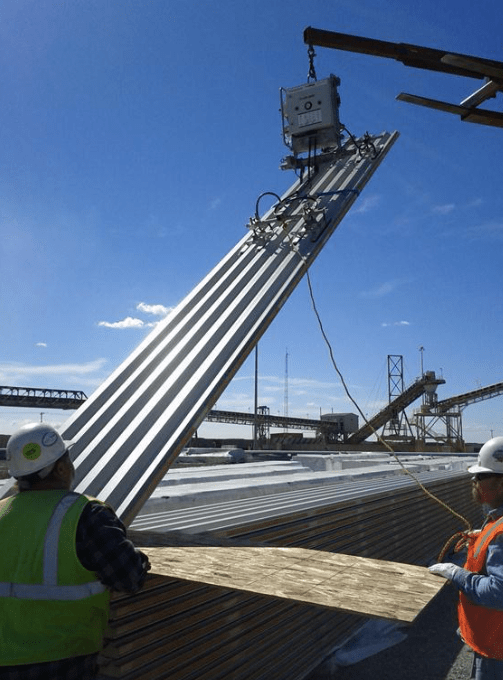 Also for metal roofing fans, the Metal Construction Association’s (MCA) Games Task Force is celebrating its fourth annual metal roofing competition with a number of different challenges known as Aces of Las Vegas. Five teams of construction professionals compete for thousands of dollars in cash awards and the winning title on Oct. 18-20 at METALCON. Each challenge takes 15 to 30 minutes to complete. Fastest time and accuracy are the two key winning factors. Judging the competition are members of the Metal Building Contractors and Erectors Association. 1:00 p.m. Game 1: The MBCI & Pac-Clad “Retrofit Panel Installation Challenge.” Contestants install the “base” R-panel roofing onto the Games steel-framed mock-ups that are 8-foot x 9-foot. 2:00 p.m., Game 2: “Screw Gun Challenge,” sponsored by Triangle Fastener Corporation. Contestants install a series of self-drilling fasteners into a structural zee-shaped purlin mounted on a steel framework platform. 3:00 p.m., Game 3: “Hug a Roof Challenge,” sponsored by Roof Hugger, LLC. Contestants install 40 lineal feet of factory-notched, zee-shaped sub-purlins on a mock-up existing ribbed metal roof paneled frame. 4:00 p.m., Game 4: “Standing Seam Challenge,” sponsored by New Tech Machinery and Drexel Metals. Contestant teams install six each, 16-inch wide metal roof panels over factory-notched sub-purlins. 5:00 p.m., Game 5: “Let It Snow Challenge,” sponsored by S-5! Contestants must properly install a mechanically attached snow retention system onto 16-inch metal roof panels. Meanwhile, after its successful initial launch last year, top experts in the metal roofing industry will lead the MCA Metal Roof Installation Training― a two-day, eight-hour certification program based on MCA’s Metal Roof Installation Manual, which kicks off before the show on Tuesday, Oct. 17. In addition to streamlining and updating the certification program for 2017, further plans for this year include more training on: substrates, safety, sealants, flashings, panel types and connections, tools, fasteners, maintenance and more. Again, participants will have the opportunity to experience quality face-time with industry experts, visit the exhibit hall throughout the duration of the show and access the full conference program. The objective is to couple the training program with the exhibit floor where participants can see live demonstrations of what they have just learned, and network with industry experts. “For those outside the metal roofing industry, this certification program offers a great opportunity to learn about the industry and experience practical training in topics most roof installers are required to know,” said Kriner. Insulated metal panels, or IMPs, incorporate a composite design with foam insulation sandwiched between a metal face and liner. IMPs form an all-in-one-system, with a single component serving as the exterior rainscreen, air and moisture barrier, and thermal insulation. Panels can be installed vertically or horizontally, are ideal for all climates, and can be coated with a number of high-performance coating systems that offer minimal maintenance and dynamic aesthetic options. At the crux of the IMP system is thermal performance in the form of polyurethane insulation. Panel thicknesses generally range from 2 to 6 inches, with the widest panels often reserved for cold storage or food processing applications. IMPs provide roughly three times the insulation value of field-assembled glass fiber systems, and panel thickness and coating options can be tailored to meet most R-value requirements. IMPs offer a sealed interior panel face to create a continuous weather barrier, and the materials used are not conducive to water retention. 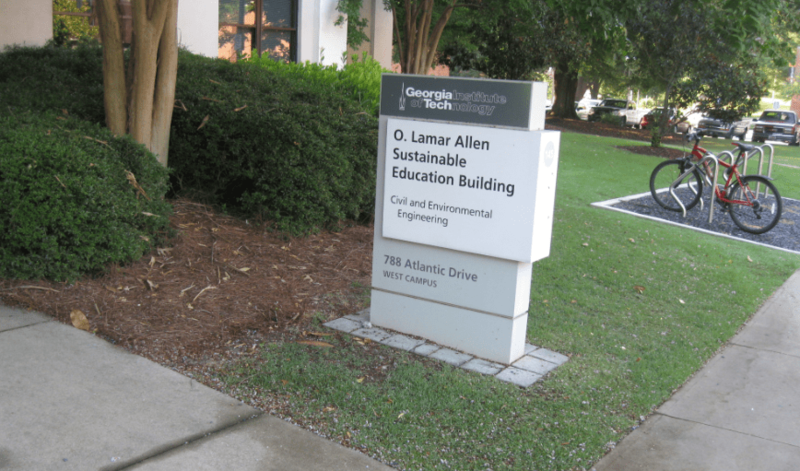 Metal—typically galvanized steel, stainless steel or aluminum—coupled with closed-cell insulation creates an envelope solution impervious to vapor diffusion. Closed-cell insulation has a much denser and more compact structure than most other insulation materials creating an advantage in air and vapor barrier designs. Time, budget and design can all be looming expectations for any building project. 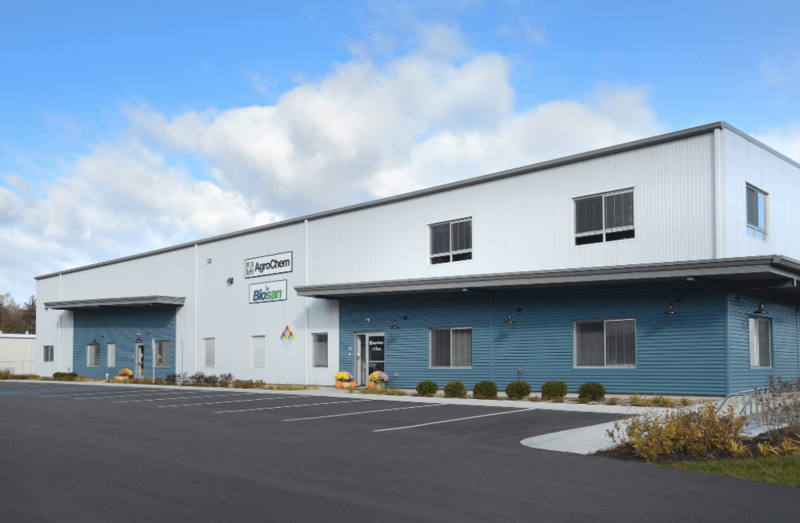 A valuable characteristic of IMPs is their ability to keep you on time and on budget while providing design flexibility to meet even the toughest building codes. The unique single-source composition of insulated metal panels allows for a single team to accomplish quick and complete enclosure of the building so interior trades can begin. This expedites the timeline and streamlines the budget by eliminating the need for additional teams to complete the exterior envelope and insulation. The seams function both as barrier and pressure-equalized joint, providing long-term protection that requires minimal maintenance. Multiple component systems often rely on the accurate and consistent placement of sealant and may also require periodic maintenance. In addition, with IMPS a vented horizontal joint is designed for pressure equalization, and, even in the presence of an imperfect air barrier, the pressure-equalized joinery maintains the system’s performance integrity. With multi component systems, imperfections can lead to moisture infiltration. The real damage occurs when water enters through a wall and into a building becoming entrapped—which leads to corrosion, mold, rot, or delaminating. Unlike IMPs, some multi-component wall systems include a variety of different assembly materials that may hold water, like glass fiber or paper-faced gypsum. When those materials get wet, they can retain water, which can result in mold and degradation. Typically, IMP installation is handled by crews of 2-4 people. Very little equipment is needed other than standard construction tools including hand drills, band and circular saws, sealant guns, and other materials. The panels can be installed via the ground or from a lift, and materials can be staged on interior floors or on the ground level. Panel installation typically occurs once the steel frame is in place and prior to interior fit out. The more common vertical installation allows for faster close-in for interior trade work. IMPs are often installed using concealed clips and fasteners that are attached to the structural supports (16 gauge minimum wall thickness tubes or stud framing). The panels are typically installed bottom to top and left to right, directly over the steel framing. No exterior gypsum or weather barriers are required, as these panels act as the building’s weather barriers. The product’s high strength-to-weight ratio allows for longer installation spans and reduced structural costs. The metal skins act as the flange of a beam, resisting bending stress, while the foam core acts as the web of the beam, resisting shear stress. This important aspect also contributes to a long product life cycle. IMPs offer a unique combination of aesthetic design options, including mitered panel edges, and a vast array of profiles, textures and reveal configurations. Flat wall profiles are ideally suited for designers seeking a monolithic architectural façade without sacrificing performance elements. The beautiful, flush panels have become a mainstay in projects in a number of high-end architectural markets. Striated or ribbed wall profiles are more common in commercial and industrial applications. The products offer bold vertical lines for a distinctive blend of modern and utilitarian design, while continuing flawless symmetry from facade to facade, or room to room on exposed interior faces. Ribbed panels also work in tandem with natural lighting to create impactful designs. Different textures, such as embossed or simulated stucco finish, add dimensional nuance and contrast to projects of all shapes and sizes. IMPs are offered in an unlimited palette of standard and custom colors to meet any aesthetic requirement, as well as energy-efficient solar reflectivity standards. Panels are typically painted with a polyvinylidene fluoride (PVDF) coating with optional pearlescent and metallic effects, and can even simulate expensive wood grains and natural metals. PVDF finishes offer exceptional performance characteristics that can be tailored to meet most any project needs, including saltwater environments and extreme weather conditions. For all the above reasons, IMPs have also become a popular building product for roofing applications. 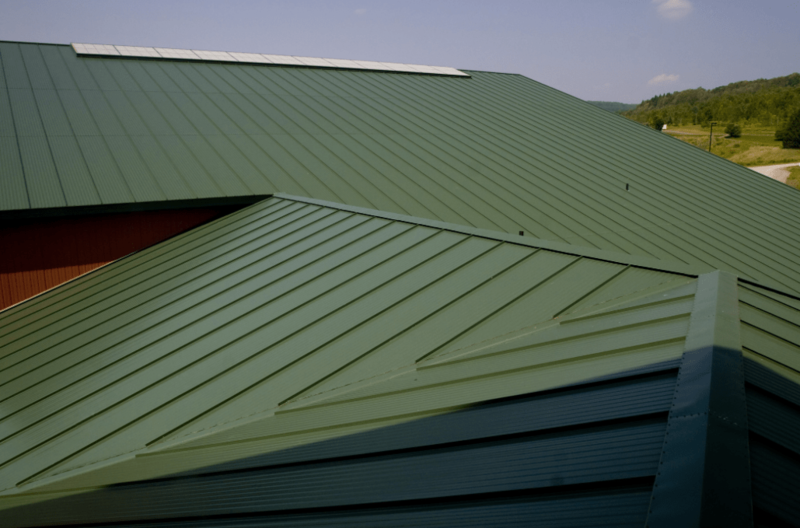 Insulated metal standing seam roof panels provide the desired aesthetic of traditional single-skin metal standing seem roofs with added thermal performance. Standing seam roof panels feature a raised lip at the panel joinery, which not only enhances overall weather resistance but provides the desired clean, sleek sightlines. The systems typically feature field-seamed, concealed fasteners that are not exposed to the elements. Just like their wall panel counterparts, insulated metal standing seam roof panels are available in a variety of thicknesses and exterior finishes. Another popular insulated metal roof application showcases overlapping profile panels. The product’s overlapping, through-fastened joinery allows for quick installation in roof applications, resulting in reduced labor costs and faster close-in. Finally, insulated metal roof deck panel systems combine the standard steel deck, insulation, and substrate necessary for single-ply membranes or non-structural standing seam roof coverings. The multi-faceted advantages of this system include longer spans between supports, superior deflection resistance, and a working platform during installation. Insulated metal wall and roof panels offer an exceptional level of value when compared to traditional multi-component wall systems. The product’s unique single-component construction combines outstanding performance with simple and quick installation, a diverse array of aesthetic options, and the quality assurance of a single provider. Mule-Hide Products Co. now offers Helix Low-Rise Adhesive in 15-gallon pony kegs and 50-gallon drums for use in completing larger jobs. According to the manufacturer, Helix Low-Rise Adhesive provides quick, clean adhesion of approved roof insulations, thermal barriers, cover boards and fleece-backed single-ply membranes to a wide variety of acceptable roofing substrates. The two-component, construction-grade polyurethane foam is applied in a single step, saving crews time and hassle. Both parts of the adhesive (Part A and Part B) are ready to use from the container – no mixing required – and are applied simultaneously in a 1:1 ratio through a static mix tip. The adhesive is applied in continuous ribbons or beads spaced 4, 6 or 12 inches apart, depending on the project and code requirements. There is no overspray. The adhesive cures fully in just minutes. A pony keg covers approximately 2,350-7,000 square feet of roof and a drum covers approximately 8,350-25,000 square feet of roof, depending on bead spacing and substrate properties. Containers of Part A and Part B are priced separately but must be purchased as a set. According to the company, the adhesive is odorless and solvent-free and contains no volatile organic compounds (VOCs), chlorofluorocarbons (CFCs) or hydrochlorofluorocarbons (HCFCs), making it crew-, building occupant- and environment-friendly. The adhesive eliminates the need for mechanical fasteners, maintaining a puncture-free vapor retarder, preventing thermal bridging and protecting the structural integrity of the roof deck. The adhesive provides superior wind uplift resistance, allowing it to be used on taller buildings and buildings in higher wind zones. In addition, it provides exceptional hail resistance when used as an adhesive for fleece-backed membranes. In addition to the pony kegs and drums, Helix Low-Rise Adhesive remains available in cartridge twin-pack tubes (covering approximately 125-400 square feet of roof) and two-tank sets (covering approximately 1,000-3,000 square feet of roof). The training center opened earlier this year for continued development and supplementation of the apprenticeship program. 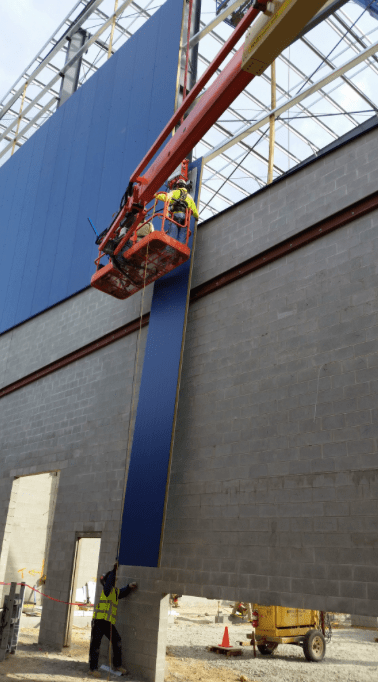 After Korellis Roofing sent us some photos of their crews learning in the company’s new training center, we wanted to know more about this great idea. We had a great phone conversation with Dan Stella, Korellis’ workforce development manager, who was hired to run the training center and ensure that the company has the highest skilled workers available. Stella explained that Korellis Roofing is a union shop and their apprentices don’t often have as much opportunity to learn and install roof details while in the field. By creating the training center and his position as workforce development manager, the apprentices get the chance to learn and practice installing detail work that is often done in the field by the more experienced journeymen. The facility was created after the company moved its offices into another building on the property. Their first training was held on May 24, and they have held regular trainings since opening the center. Stella says they take advantage of inclement weather when they can’t work out in the field by having the apprentices come into the training center to learn and practice their skills. The first session held was CERTA training. Stella had taken the NRCA’s Train the Trainer course so he was authorized to teach and certify some crew members not certified in the torch-down work required for a job installation. By performing the CERTA training in the center, Korellis was able to assign more certified torch applicators on the project and complete it ahead of schedule. Before the company started a Spanish clay tile job, they were able to prepare for it by roofing the steep slope deck in the training center and bringing in Keith Huebner, a local 11 apprenticeship trainer, to assist. Not only was it a good learning experience for the apprentices, it was a nice refresher for the more experienced team as well. Do you have a best practice or a unique program that you would like to share with us? Send an email to info@rooferscoffeeshop.com or use our contact form to tell us about it. On Sept. 23, OSHA began enforcing its long-anticipated final rule on occupational exposure to respirable crystalline silica (RCS) in the workplace. To help its members comply with provisions of the new rule, NRCA has launched a silica web page. A PowerPoint presentation contractors can use to facilitate a training session on RCS as required by the rule. Links to outside resources that may be useful for compliance assistance with equipment options, objective data compilations, industrial hygiene and laboratory needs, and plan development. A sample of the required silica exposure control plan for members to edit to their company needs. New Toolbox Talks targeted to roofing tasks that workers may perform. A detailed summary of the RCS rule. In roofing, workers can be exposed to RCS when performing tasks that involve abrasive action on concrete and clay roof tiles, concrete pavers, masonry and mortar joints may produce dust particles that, when inhaled, settle into deep portions of the lungs and cause damage. “NRCA’s new silica webpage and additional initiatives should assist our members in easing burdens of the silica rule and decrease the risks associated with silica in the roofing industry,” says Harry Dietz, an NRCA director of enterprise risk management. In addition to the new webpage, NRCA also has been working with the Asphalt Roofing Manufacturers Association, Tile Roofing Institute and many NRCA affiliates to conduct air sampling and testing of roofing materials to determine whether they contain crystalline silica and to what level. NRCA members may access the new silica webpage at www.nrca.net/Silica-regulation-resources.